When we talk about social media the chances are high that Facebook will come up in the conversation. Facebook is currently the single biggest Social Media platform there is. Many companies are successfully using Facebook to build important relationships with prospects and customers. 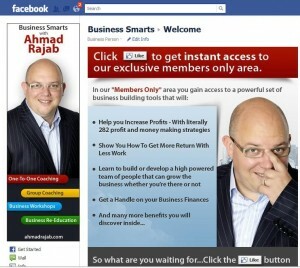 Facebook business pages are currently one of the hottest and most cost effective ways to market a company. 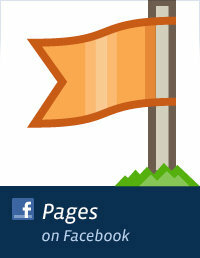 Most businesses have already recognized the value in creating a Facebook page. If your company is still considering where Facebook might fit within your online marketing efforts, this page will be very important to you. With Facebook you can easily showcase your products, services and websites for free and with over half a billion Facebook users and thousands of online communities to choose from, you can get highly responsive potential customers much more easier than you think. Sure, many businesses have a Facebook business page but they never make the effort to encourage their visits to click the “Like” button. It’s only after your visitors takes this vital action that you can begin communicating with them. When we build your custom Facebook page we ensure that it is designed to incentivise visits to take that all important step…“Click the Like Button”. This is the real reason you need one of Superior Internet Marketing’s Custom Facebook Page as part of your Social Media Marketing strategy. Our pages are designed specifically to convert as many visitors to Likes as possible. We do this by working with you to give your new Fans a little something extra. It can be anything from a discount for a first time visit to your business, a free video, access to exclusive “members only” content or even a free report that is of value to your target market. It can be whatever it is that will be valuable to your prospects and customers. The more people you can convert to a “Like” and get them to interact with your page, the stronger your connection grows and the more likely these fans are to buy from you when your offer is presented. Video is a great way to engage your prospects. There is no doubt about the popularity of online video and it’s effectiveness in delivering a powerful marketing message. Using video along with a great incentive will increase the likelyhood of your “Like” button getting a click from your visitors. In order to maximise engagement on your Business page we can create it so that it will have a newsletter sign up form built in. So if you are looking to increase your e-mail marketing effectiveness then this will be essential. When designing your Facebook page we exploit a little-known loophole in Facebook, which allows for your custom facebook page profile picture to be up to 580 pixels high! So we can maximise your marketing message by fully using this space to broadcast any message you want. We also lay this out so as to create a perfect logo icon for the thumbnail which will represent you as you use your page and interact with your fans and customers. These are just a couple of the critical success components we can build into your custom Facebook bussiness page. 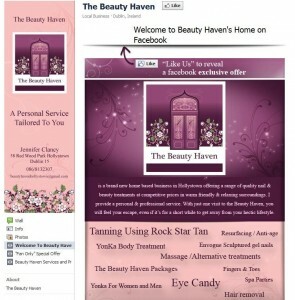 We hope you can see the massive value in having your custom facebook page designed by Superior Internet Marketing. Your fan page will be specifically designed to convert as much as 300% more visitors to fans, growing your list virally and steadily while you go focus on your business.